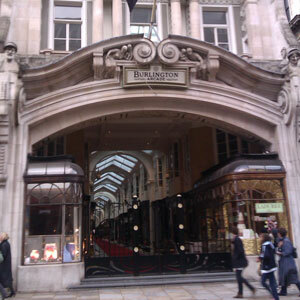 A schoolboy has become only the second person in the world who's allowed to whistle in the Burlington Arcade. Chatting the other day to one of the beadles (the Piccadilly shopping arcade's beautifully-uniformed security force), I learned that Paul McCartney - until now the only person allowed to break the ban - has been joined by a young chap from East London. Well played, Burlington Arcade. And well played that boy. Which way does the Queen face? A Rubik’s cube has more combinations than light travels inches in a century. This is my favourite illustration of how a very small number of factors can produce an absurdly complicated situation. A silly little toy, with only three squares in each of its three dimensions. How can that get complicated? Well, as anyone who's ever tried to solve one just by guessing will tell you, it gets very complicated. The number of possible combinations is 43,252,003,274,489,856,000. Forget billions - that's 43 quintillion and change. (In fact the cube's manufacturers just said ‘billions' in their advertising, figuring that no one would know what a quintillion was. It's a billion billion.) The number of inches light travels in a century, meanwhile, is a mere 37,165,049,856,000,000,000. Or thereabouts.